My little container garden has yielded its first little harvest of the season. 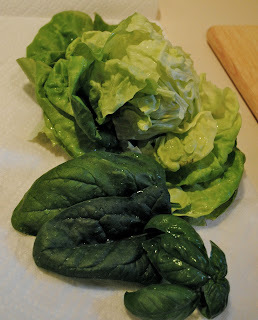 I've got some lettuce, spinach and basil which I used to make a couple "big" salads this week. I also used the basil to make some pesto. I marinated a couple chicken breasts in the pesto and broiled it (still out of propane for the grill). I added the leftover chicken to the big salad, which made it all the more tasty. 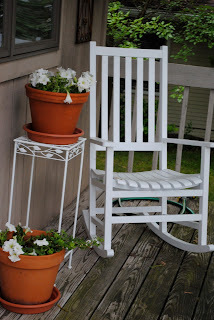 Do you remember the rocking chair I painted? Here it is up on my front porch. 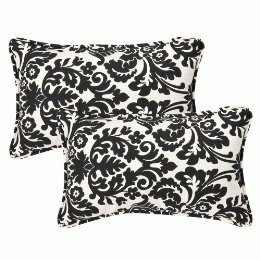 I've been to several stores and I can't find the exact pillows to help set it off. Originally, I was thinking about a green and white stripe. Yesterday I was looking online and found these pillows at Target. They are quite different from what I had in my minds eye, but that's what I think I like about them now. Very different. New pictures of Luke soon. He's just a smiling fool. Yum on the garden! We are growing tomatoes but haven't gotten any! I have a start of thyme growing in my window but who knows if it will grow. I don't really have a green thumb unless its a hearty one that comes back each year. I love homemade pesto. I have some basil in my container but it's not spreading to much. Love the pillows. Thanks for stopping over. I read the Shell Seekers years ago too. Can't wait to get back into it! I like the pillows but some color would be nice, too. Cheers from Philadelphia! I love pesto! I think putting it on chicken would be fabulous! I will have to try that sometime! Yum, looks like you're having all kinds of fun! I am a sucker for black and white, and anything monochromatic as well. 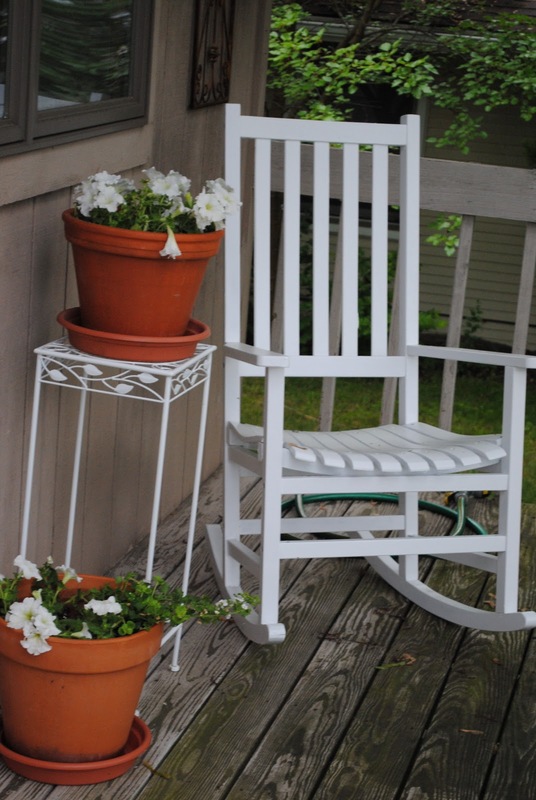 However, I would tend to agree that some color would be really nice on your really pretty front porch! Can't wait to hear about your haircut! Your rocker looks great... reminds me I need to do a touch up coat on mine.